Menopause is a natural part of a woman’s life as she reaches middle age and beyond. As the body begins to decrease production of estrogen in the years approaching menopause (known as perimenopause), many women experience a number of symptoms and side effects as this hormone level fluctuates and decreases, including hot flashes, insomnia, mood changes, headaches, and unwanted weight gain. Often this weight gain is not evenly distributed all over the body but is located in the abdominal area. While other factors may contribute to weight gain during this time of life, such as the loss of muscle mass in the body and a lowered metabolism as a result of this loss, the interplay of hormonal fluctuations toward lower levels of estrogen is a unique factor contributing to weight gain that women in the midst of menopause often experience. Fortunately, there are several steps you can take to limit or reverse menopause weight gain. These action steps can be tailored to your lifestyle to create an ideal plan to manage, combat, and reverse weight gain during menopause. As women age, your metabolism naturally slows down and you don’t burn as many calories at rest as you did in your twenties or thirties. Weight gain occurs when we intake more calories than we burn through our base resting metabolism and through exercise. Since your metabolism is naturally decreasing as you age, you must increase your aerobic or cardiovascular exercise to maintain your ideal weight. Aim for twenty to thirty minutes of aerobic exercise five days of the week; if you are just beginning to add exercise to your daily routine, aim for two or three days of the week and increase your weekly sessions by one per week until you reach five days a week. Adding strength or resistance training is also another means of fighting weight gain during menopause. Even at rest, your body is buring calories; a pound of muscle tissue burns far more calories at rest than a pound of fat tissue, creating an overall boost to your metabolism. Strength and resistance training will add muscle mass to your body while creating a leaner and more sculpted physique. And strength training doesn’t just build muscle tissue – it increases bone density, too, helping to prevent osteoporosis as you age. Once you have an established exercise routine, don’t be afraid to try new and different types of cardiovascular exercise. Varying your cardio routine will keep exercise interesting and will challenge different muscle groups and improve your overall fitness. It’s all about the calorie math: eat fewer calories than your body needs and you should slowly lose the unwanted weight. First, however, you must determine just how many calories you need each day based on your age, your weight, your height, and your current activity level. There are many apps and online calculators you can use to quickly determine your caloric needs; be sure to be accurate and honest about your personal profile numbers and true activity level so that you create a plan that can succeed. Once you have the base number of calories you need to maintain your current weight, you can create a caloric goal for weight loss based on eating fewer calories as well as based on increasing your calorie burn through additional exercise. Most doctors recommend safe weight loss levels of anywhere from half a pound to two pounds per week. Where those calories you need come from is just as important as how many calories you need per day. Adding more fruits and vegetables as well as lean proteins and lower fat dairy products is recommended for healthy weight loss. Avoiding sugary treats as well as simple carbohydrates like bread and pasta will help as well. Swapping fats such as butter for vegetable based fats such as olive oil in cooking is another simple switch. When you eat is just as important as what you eat, too. Avoid grazing and snacking in the late evening as bedtime approaches; instead, try to eat balanced meals over the course of the day that leave you feeling full and satisfied. Foods such as high fiber vegetables, lean protein, and healthy fats such as those found in avocados will help you feel full longer and will reduce the urge to snack. A glass of wine or a beer every night or every other night might be a pleasant treat after a long, stressful day, but that treat contains empty calories that can contribute to the weight gain experienced during menopause. Alcohol also is a depressant, slowing brain function and reduces inhibitions. 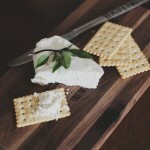 You may find yourself wanting to nibble on a few snacks while drinking a glass of wine or a beer; as the alcohol takes effect and lowers your inhibitions, you may unwittingly end up consuming snacks you don’t need and would have resisted otherwise. Make alcohol a special occasion treat rather than an everyday stress reliever to help reduce or reverse menopause weight gain. Alcohol isn’t the only drink that adds excess and empty calories to your diet. Track your beverage intake over a few days or a week and make note of how many sugary drinks you consume. These include the obvious ones, like soda and other fountain drinks. But there are other sugary drink culprits that you may be consuming which add hundreds of calories to your diet every day, such as specialty coffee drinks, fruit juices, and sports drinks. Reduce or eliminate sugary drinks by substituting water or plain tea or coffee instead. You will help to fight menopause weight gain when you do so and you’ll have the additional benefit of being better hydrated each day. Sitting for long periods of time has been shown to have several health detriments. The sendentary nature of sitting decreases your calorie burn during the day while impacting your posture, your back, and your joints and muscles. As more and more research emerges about the long-term effects of sitting for several hours a day within the workplace, more and more employers are responding to this challenge by offering flexible work stations for their employees. Work stations may include exercise balls for sitting instead of traditional office chairs; sitting on an exercise ball requires an active and positive response from the body to maintain posture, alignment, and balance. Other options offered by employers may include desks that move up and down from a seated position to a standing position. If you work in an office or an environment that requires long periods of sitting, try to vary your routine even if your office is not yet equipped with flexible work stations. Take breaks from sitting at least once an hour to stretch your muscles, walk for a few minutes, and relieve stress on your back and joints. When possible, stand instead of sitting for tasks such as talking on the phone. As you shift to standing and moving more than sitting, your body will burn more calories, aiding your fight against menopause weight gain. 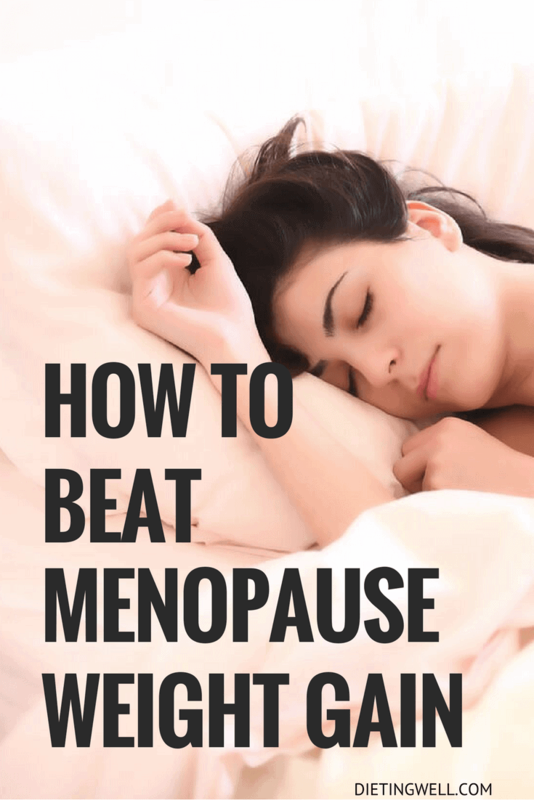 Getting the proper amount of quality sleep can be extra challenging during the years when menopause takes place. Women in their middle years may still have young children who wake during the night and disrupt their sleep. And the signs and side effects that come with menopause are also great disturbances to sleep. Hot flashes that lead to night sweats can wake you, leaving your clothes and sheets damp and in need of a change. Mood disturbances can disrupt your normal sleep patterns. Insomnia can occur due to any and all of these side effects or simply on its own. Sleep is when our bodies rest, recharge, repair, and rejuvenate. Interrupted sleep or a lack of enough sleep can contribute to menopause weight gain. Take steps to create a sleep-friendly environment in your bedroom. Choose lightweight, cotton sleepwear and sheets to help reduce night sweats. Adding a small fan to circulate air will create a cooler environment for sleeping. Create a nighttime ritual to wind down at the end of the day and prepare your brain and body for rest by reducing screen time before bed and adding a relaxing hobby such as reading or meditation. It is easy to think you are the only women experiencing menopause and the side effects that occur during this phase of life. Having a support network of other women facing the same challenges can be a great stress reliever as well as a system of accountability for goals such as diet changes and exercise. Having an exercise partner or a diet partner can help you both to achieve your daily, weekly, and monthly goals and can keep you on track when the inevitable happens and you have a day when you binge eat or miss a workout. If you find that the weight gain from menopause simply does not respond to any or all of the action steps above, make an appointment with your OB-GYN to discuss your health goals and your weight gain. Your OB-GYN can discuss the use of hormone replacement therapy with you and determine if this would help to fight menopause weight gain. Menopause is a challenging change in the life of every woman and it presents unique side effects and symptoms to each woman including unwanted weight gain. Taking action steps as you reach your forties and beyond to change your lifestyle by adding healthy habits to your daily life can help you beat menopause weight gain.